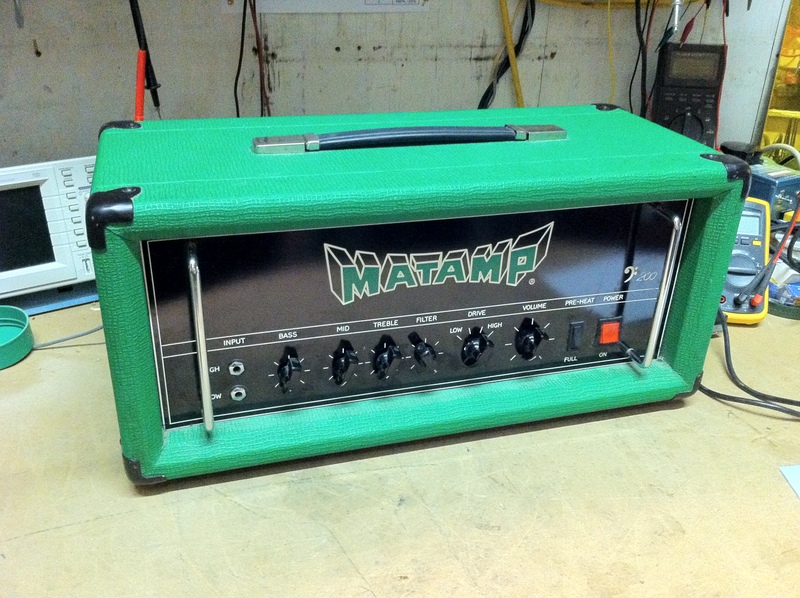 Hard to know all that much about Matamps since they are pretty rare and schematics are hard to find. I think this is the bass version of the GT120. It has a bass clef. 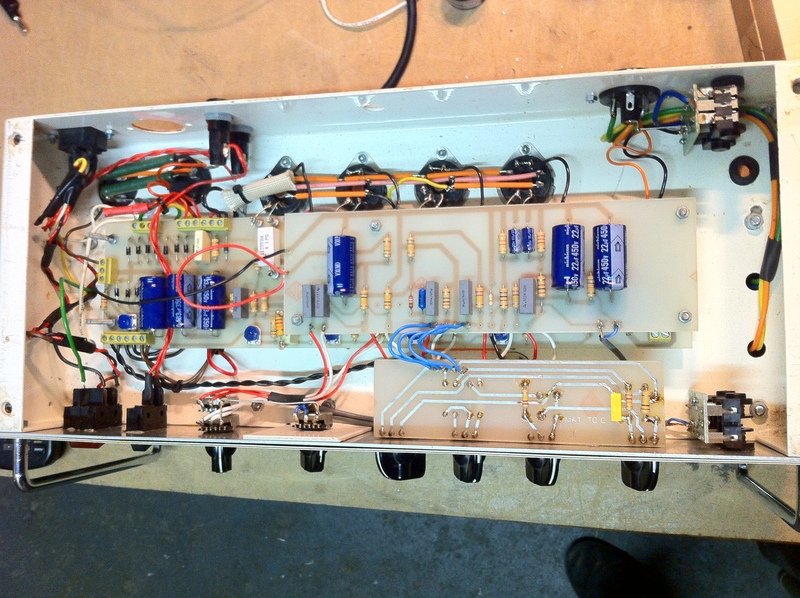 This amp does about 120W max with four EL34s. It starts to break up around 75W. The bass and mid controls have a minimal effect. It was biased extremely cold and sounded really grainy and weak, but when put back in a normal region it could get really fuzzy and blown out sounding, which was awesome. Stacked PCBs mean you gotta dive in if there’s a problem. Individual bias pots per power tube for pure luxury or an annoying balancing act, depending on your mood. Roll bars are great. You can put the amp on any side when servicing without breaking any tubes or knobs. 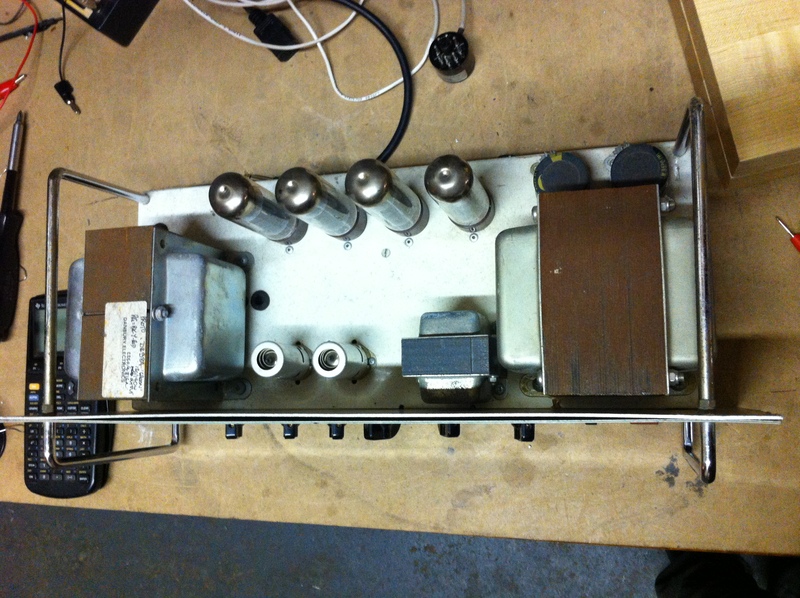 It has just one preamp tube……..